Fender® helps you wear it well with original vintage strap buttons for a variety of electric guitars and basses. 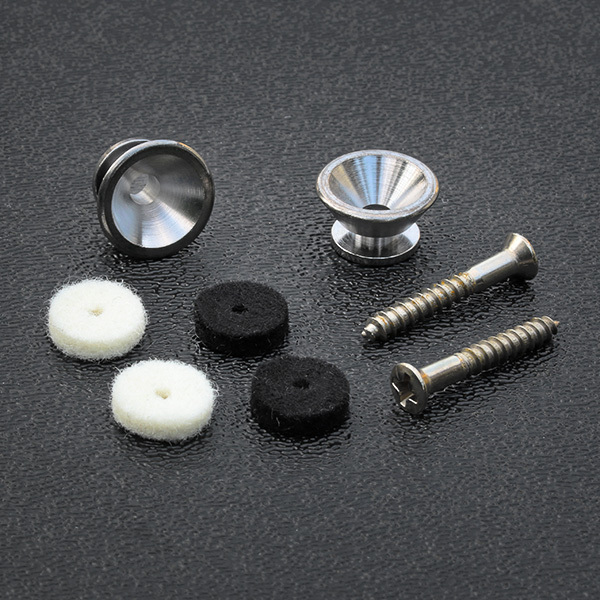 Package contains two chrome-plated steel strap buttons, black and white felt washers, and mounting screws. Used on American and American Standard Series (US) instruments manufactured from 2004-Present but can be used on any guitar where this style of strap button is desired and uses the #6 size mounting screw.